Ellsberg, who leaked the Pentagon Papers in 1971, says whistleblowers like Snowden and Bradley Manning are helping Americans defend their right to privacy. Ellsberg said on Twitter “there has not been in American history a more important leak than Snowden’s,” including his own, during Watergate. In July 1971, Daniel Ellsberg, a former National Security Council consultant and military analyst changed the course of history when he leaked confidential information about the Vietnam War to a reporter at The New York Times. Those documents later became known as The Pentagon Papers. Snowden, who has fled to Hong Kong, worked for the NSA as a contractor for Dell and Booz Allen over the last four years. “The information about unconstitutional activity that he [Snowden] put out could only be reversed or stopped if the public knows about it, and there was absolutely no way for them or most members of Congress to learn about it without him putting it out. He went on to say that he identifies with Snowden, “his choice, his decision, his performance” and that the 29-year-old is clearly aware of the consequences of his actions. He said it is clear is that Snowden broke the law and faces possible of prosecution. South of Utah’s Great Salt Lake, the National Security Agency (NSA), a United States foreign intelligence service, keeps watch over one of its most expensive secrets. Here, on 100,000 square meters (1,100,000 square feet) near the US military’s Camp Williams, the NSA is constructing enormous buildings to house superfast computers. All together, the project will cost around $2 billion (€1.5 billion) and the computers will be capable of storing a gigantic volume of data, at least 5 billion gigabytes. The energy needed to power the cooling system for the servers alone will cost $40 million a year. Former NSA employees Thomas Drake and Bill Binney told SPIEGEL in March that the facility would soon store personal data on people from all over the world and keep it for decades. This includes emails, Skype conversations, Google searches, YouTube videos, Facebook posts, bank transfers — electronic data of every kind. “They have everything about you in Utah,” Drake says. “Who decides whether they look at that data? Who decides what they do with it?” Binney, a mathematician who was previously an influential analyst at the NSA, calculates that the servers are large enough to store the entirety of humanity’s electronic communications for the next 100 years — and that, of course, gives his former colleagues plenty of opportunity to read along and listen in. James Clapper, the country’s director of national intelligence, has confirmed the existence of a large-scale surveillance program. President Barack Obama further explained that Congress authorized the program — but that American citizens are exempt from it. Indignation was sharp and predictable across Europe – a continent where privacy is revered. Yet anger over revelations of U.S. electronic surveillance was tempered by an indisputable fact: Europe wants the information that American intelligence provides. That dilemma was clear Tuesday, only days after leaks about two National Security Agency programs that purportedly target foreign messages – including private e-mails, voice and other data transmissions – sent through U.S. Internet providers. In a January 2013 ruling, Military Judge Colonel Denise Lind awarded Manning a 112-day reduction in any eventual sentence due to being subjected to excessively harsh treatment while in military detention. A month later, Judge Lind accepted Bradley Manning’s guilty pleas of 10 lesser charges that he misused classified information, though he denied “aiding the enemy.” A guilty sentence to “aiding the enemy” could languish him military prison for the remainder of his life. 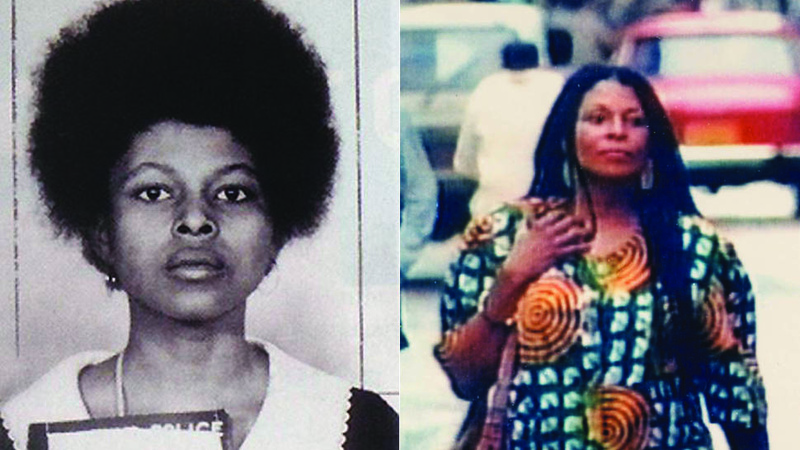 As of yesterday, former Black Panther and member of the Black Liberation Army Assata Shakur became the first-ever woman to be added to the FBI’s most wanted terrorist list. She is currently 66 years old and living in Cuba where she has been granted political asylum. In May of 1973, Shakur was in a car that was pulled over by police on the New Jersey highway. A shootout occurred, resulting in the deaths of her companion and fellow activist Zayd Malik Shakur and State Trooper Werner Foerster. Assata Shakur was wounded in the gunfight, having been shot twice. Accounts of what happened that night differ greatly — surviving Trooper James Harper (also wounded) claimed that Zayd Malik Shakur began firing when they asked him to step out of the vehicle whereas Assata Shakur attests that the police fired first, even after she had her hands in the air.